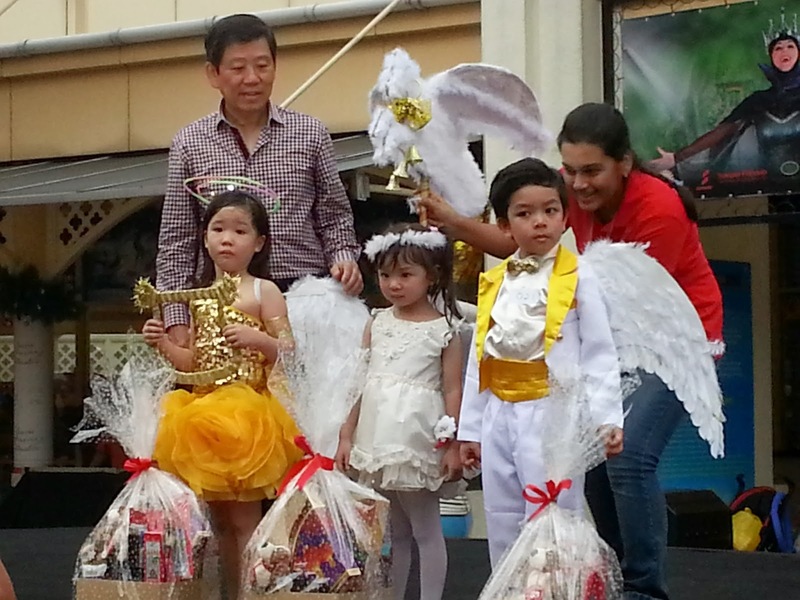 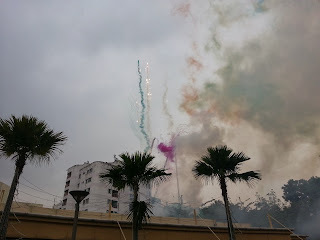 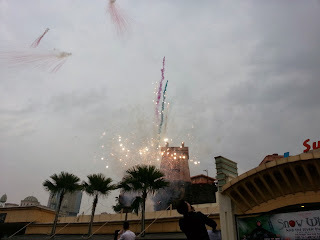 The Sunway Resort City, namely Sunway Lagoon, Sunway Pyramid and Sunway Lagoon Resort Hotel and Spa held a Celebration Year End Parade beginning from the Sunway Lagoon Resort Hotel and ending with literally a big bang of daylight fireworks... However a change of good weather to heavy drizzle made the organisers change their route a little. 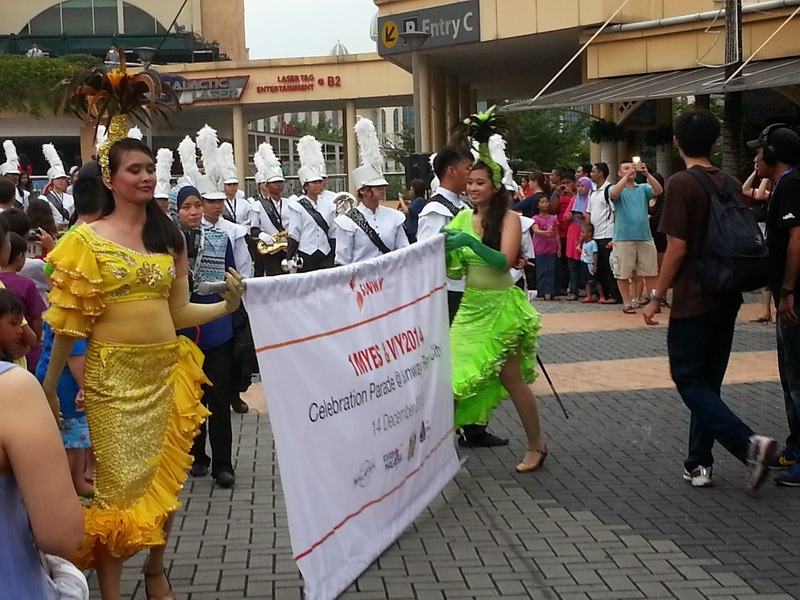 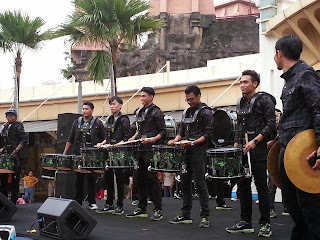 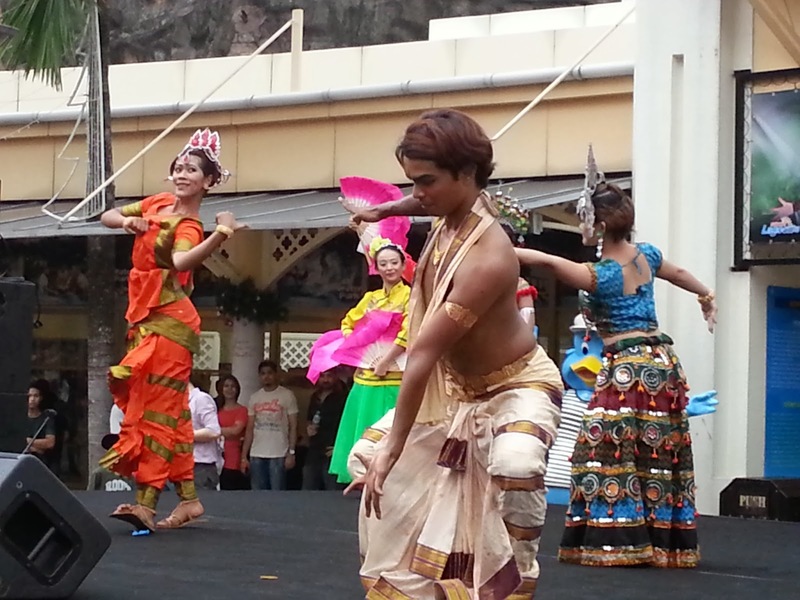 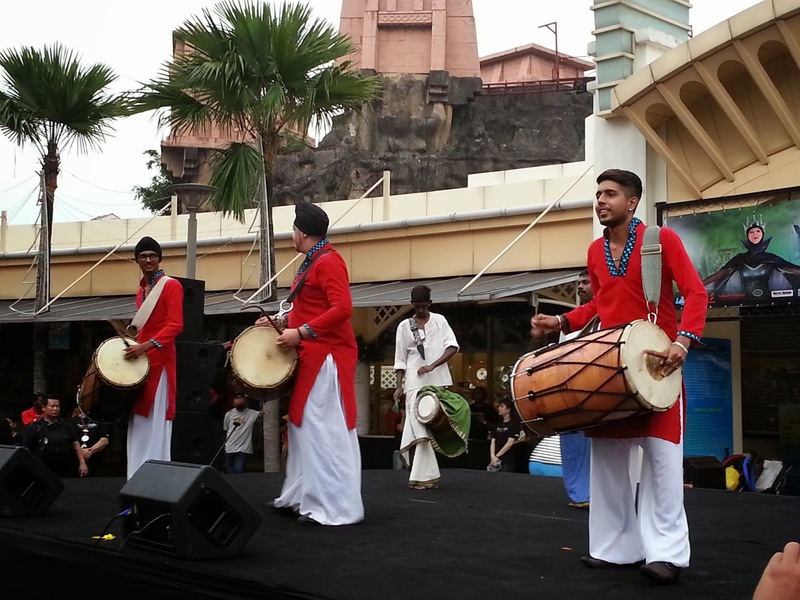 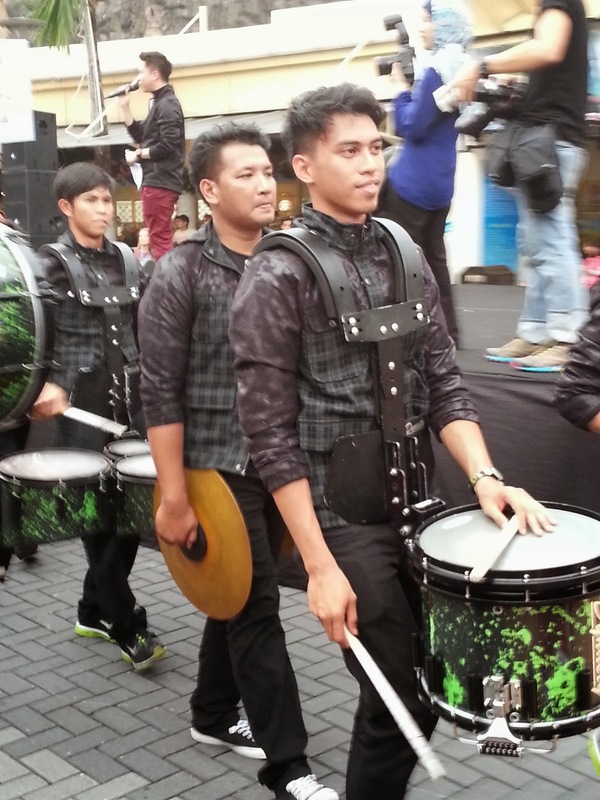 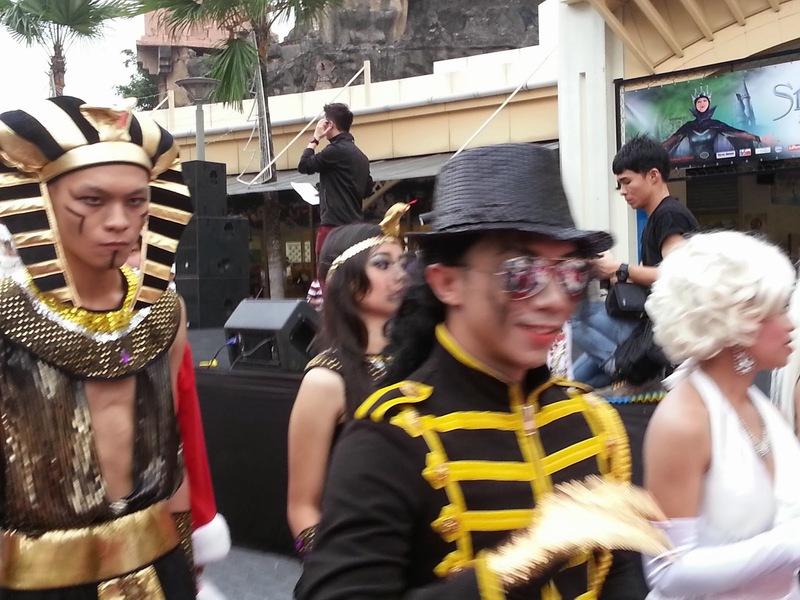 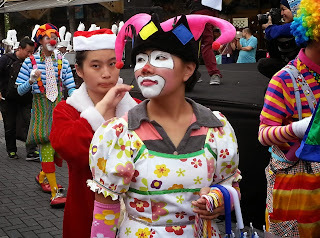 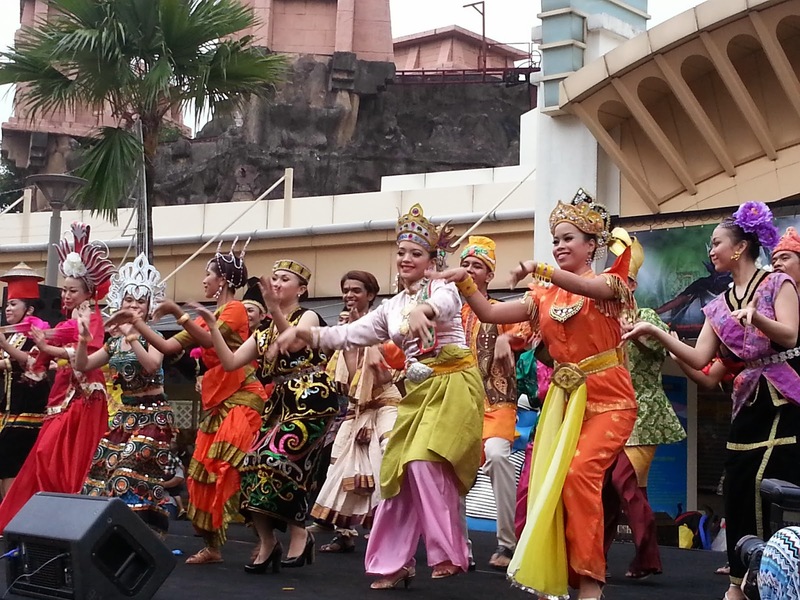 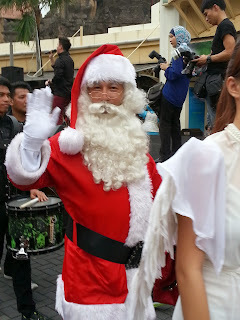 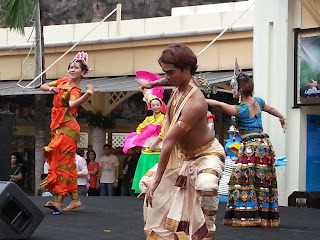 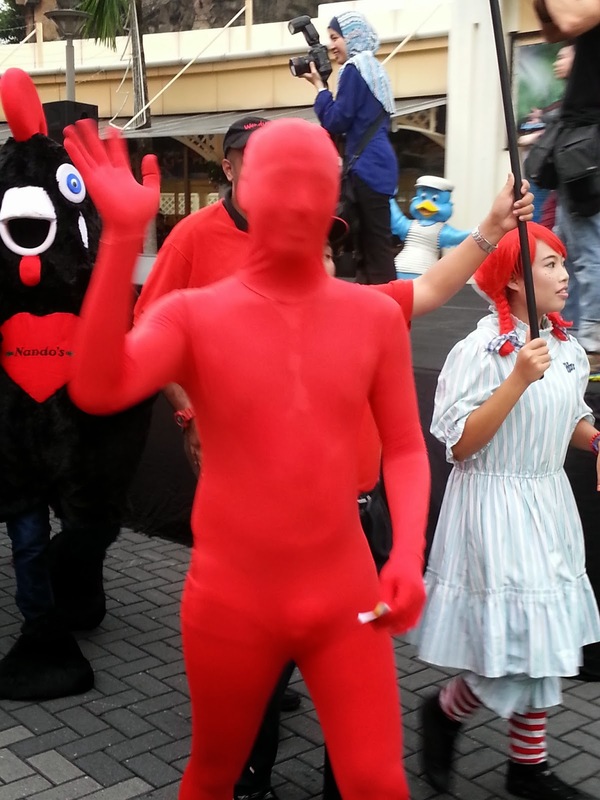 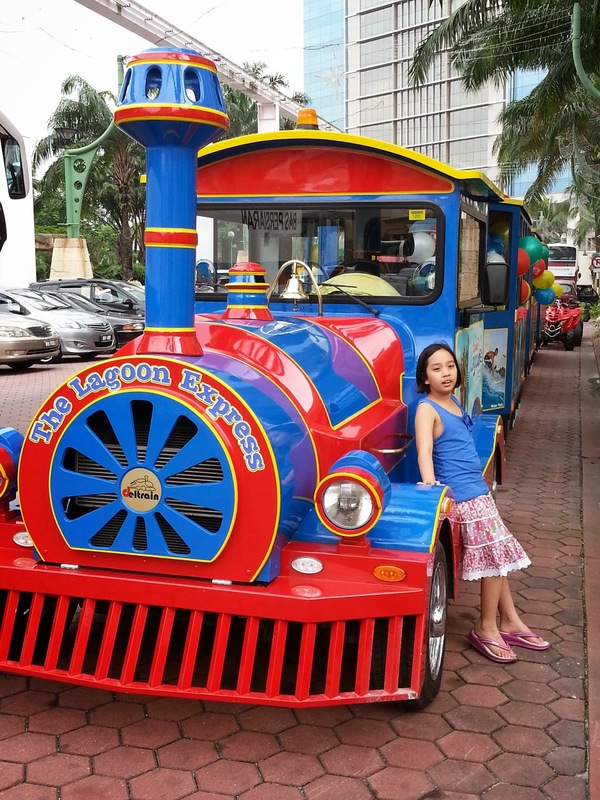 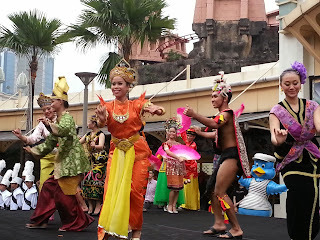 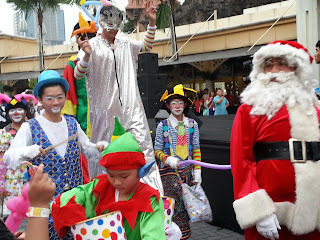 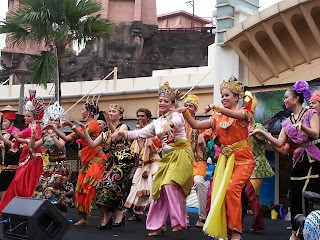 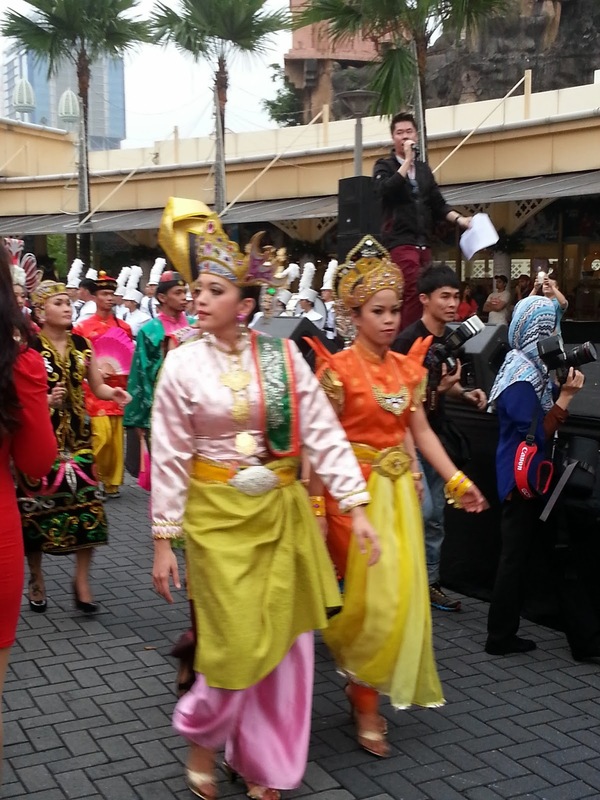 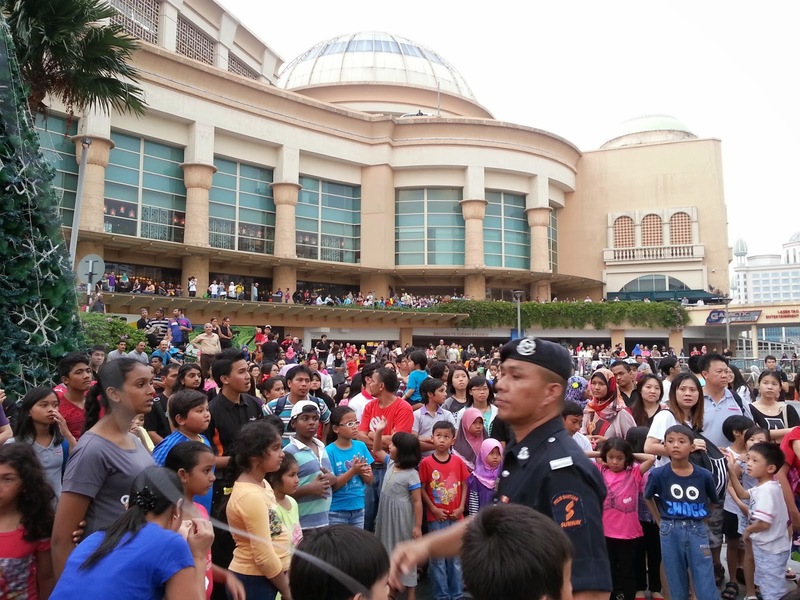 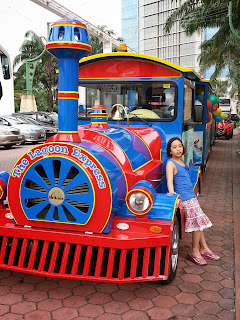 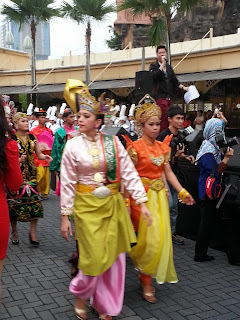 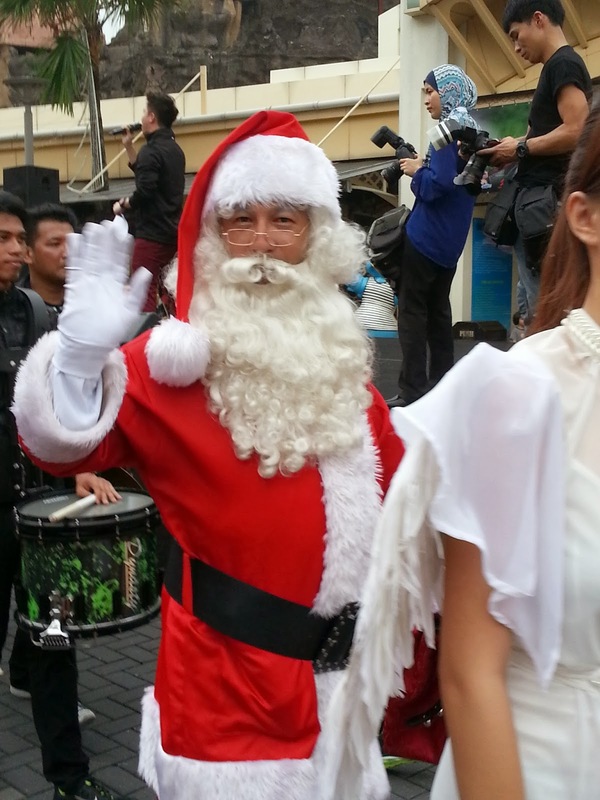 The parade went through the short cut from the Sunway Lagoon Resort Hotel to Sunway Pyramid and to Sunway Lagoon, as opposed to the original plan of using the main road. 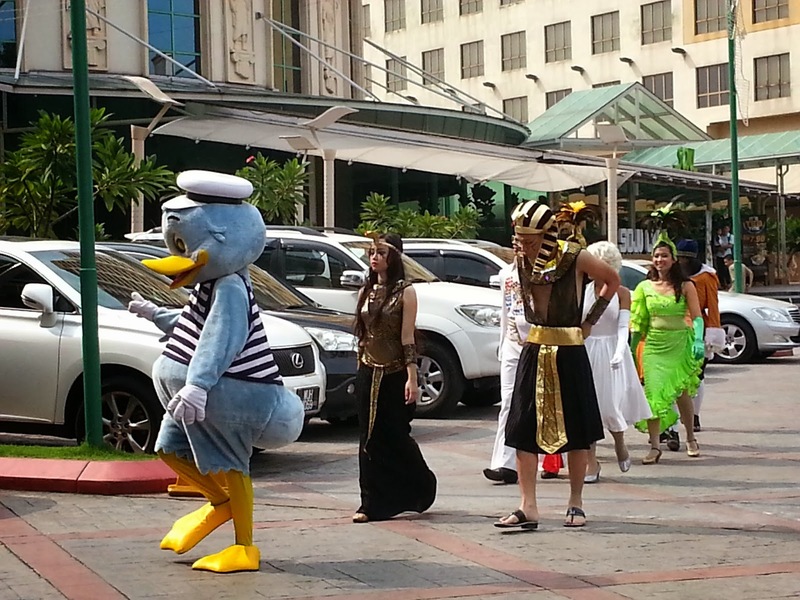 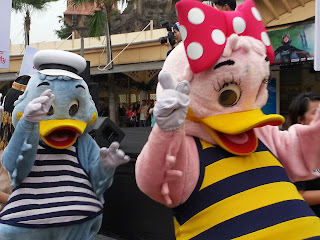 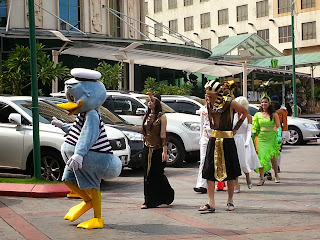 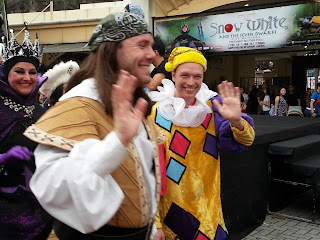 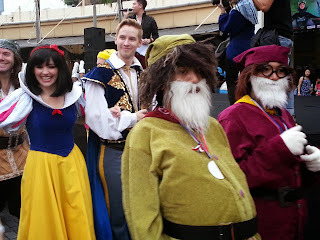 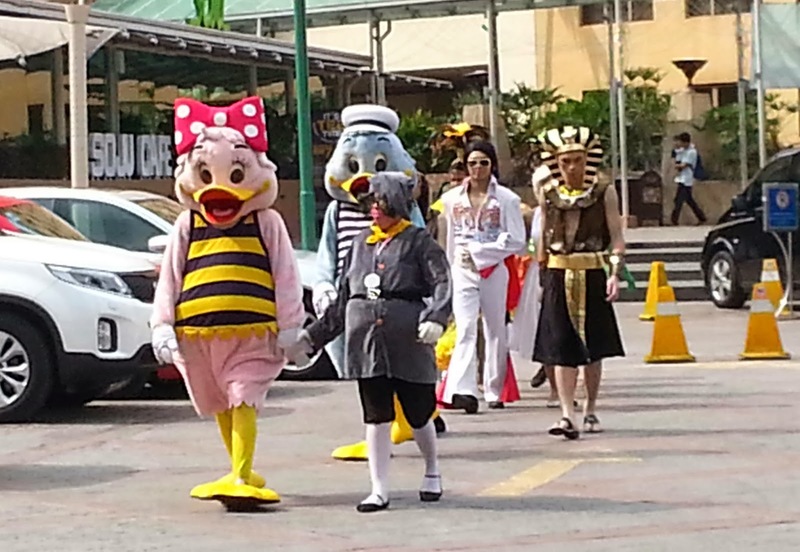 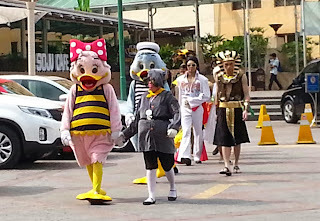 A strange medley of characters.. Captain and Lady Quack, a dwarf( from the Snow White and the Seven Dwarves Musical), a Pharaoh, Elvis.. making their way to the starting point of the parade..
After this picture, little daughter and I walked towards the Sunway Lagoon courtyard area. 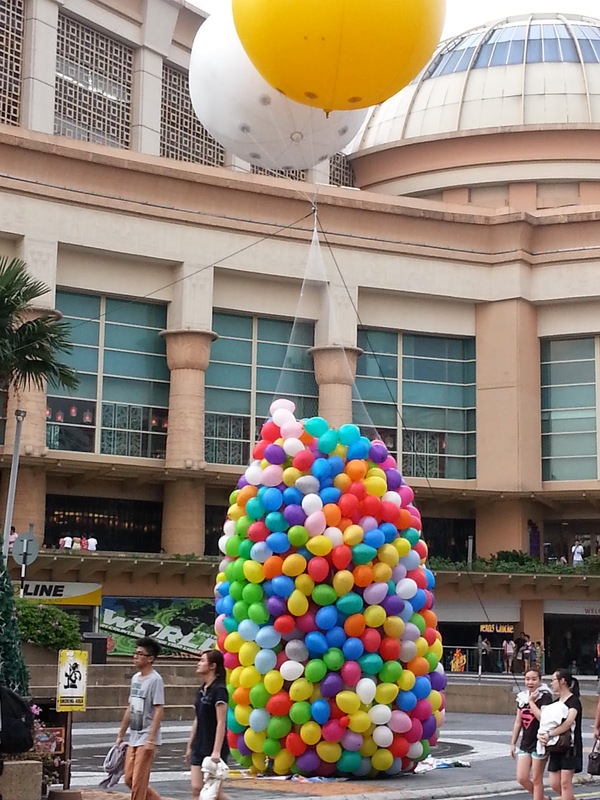 This was the sight that greeted us. 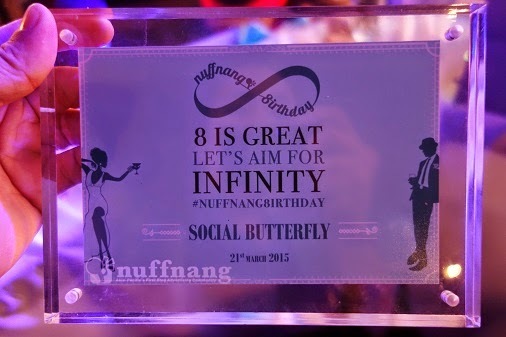 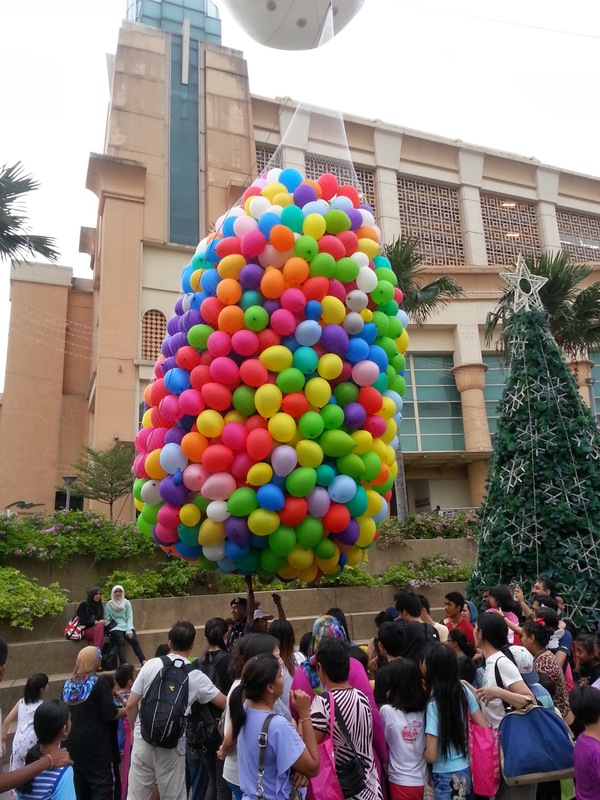 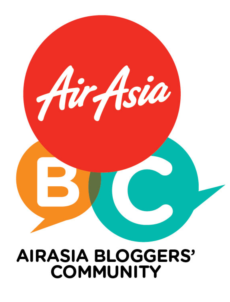 A huge balloon drop consisting of 2000 balloons willed with surprise gifts in some which are shopping vouchers, tickets to Sunway Lagoon theme park, vouchers for buffet hi tea, dinner and even hotel stays were up for grabs. 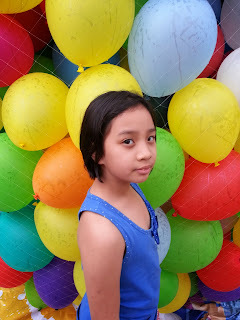 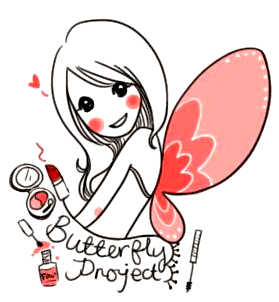 Little daughter posing in front.. Love the pic as it was colourful!! 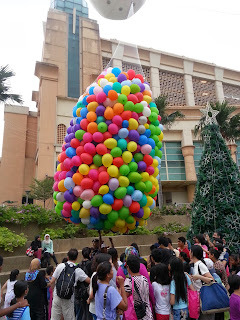 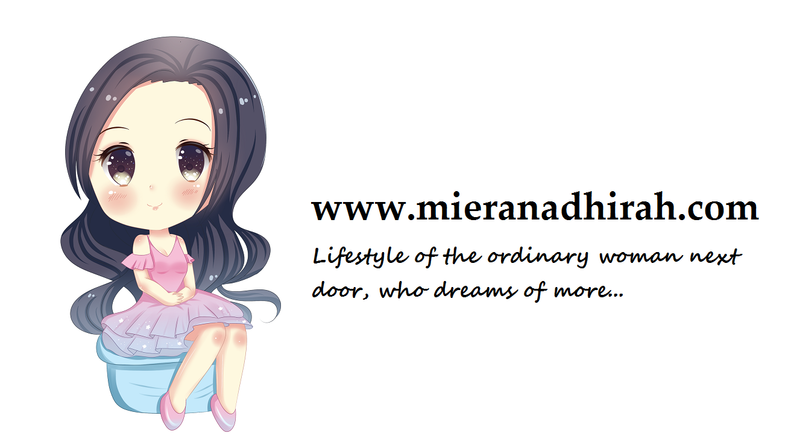 And the balloon drop with all the prizes were just too irresistible to be left alone as well.. 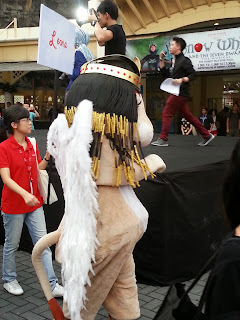 Elegant Leona, the female half of Sunway Pyramid's pair of mascots.